Manhattan's sharpest gossip columnist tangles with brawlers, triggermen, and dames The most important people in the world come to Broadway-to eat in restaurants, dance in nightclubs, and die in rain-slicked back alleys. Whatever the big names are doing, Jerry Tracy hears about it-and tells the world in his infamous Daily Planet column. As quick with his typewriter as he is with a .45, Tracy can break a nose as easily as he breaks a news story. But beneath his hard exterior, this columnist has a kind heart, and a sense of justice that will make him do crazy things for a woman in trouble, or a friend with a murder rap hanging over his head. 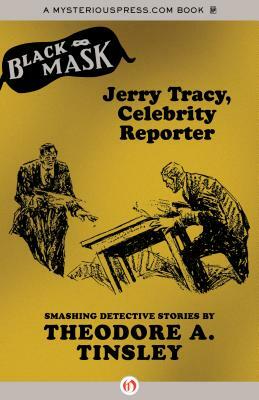 Featuring every Jerry Tracy story ever published in Black Mask, this collection is an invaluable compendium of one of early noir's most original heroes. Written in machine gun prose that would make Damon Runyon proud, these stories describe a man whose words are tough-and whose fists are even tougher. This book features an introduction by Boris Dralyuk. Theodore A. Tinsley (1894-1979) was a prolific noir author who wrote for all of the prominent pulp magazines, including Black Mask, Munsey's Magazine, All Detective Magazine, and Action Stories. His best-known creations are Carrie Cashin, a private eye who became pulp fiction's most popular female character, and Jerry Tracy, a gossip reporter with a nose for sniffing out murders. Author Name: Tinsley, Theodore A.